Located in a residence of good standing with two lifts, adjoining the golf course and facing the sea, this apartment has a heated pool in July and August and a secure garage in the basement of the residence. This apartment on the seafront, equipped and tastefully furnished, is located on the 2nd floor and consists of a living room with a sofa bed two people and television, a kitchen area equipped with electric oven and microwave), a bedroom with a bed of 140, a room of water, independent toilet. 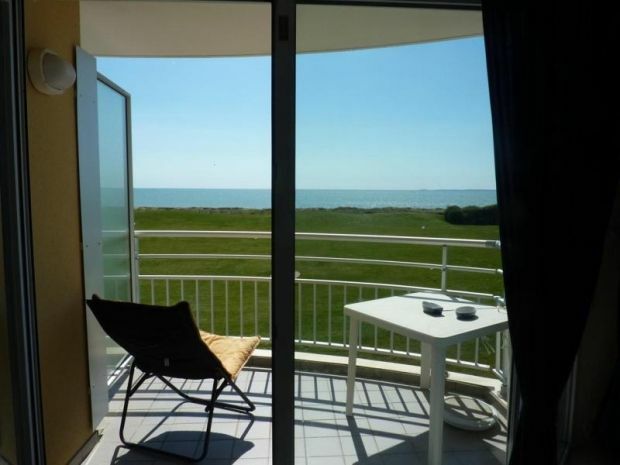 The advantages of this apartment in Vendée: Balcony with magnificent sea and golf views, dishwasher. Option to pay on site: Baby Kit: 19. 9 €. Bathroom linen: 7. 9 €. Rental of sheets + pillowcases (big bed): 12. 9 €. Pet: 39 €. Cleaning à la carte T2: 64. 9 €. T2 Tranquility Pack: 89. 9 €.